When you look at your floor, it probably looks pretty simple. However, looks can be deceiving. If you could see through your carpet, tile, or wood, you would see a system of structural joists, subfloor, and underlayment. Though they may seem indestructible, stone floors may actually be more delicate than other flooring materials like hardwood, laminate and tile. This is because stone is inflexible by nature. However, this doesn’t mean you can’t use stone floors; you’ll just need to use the proper underlayment. If your subfloor is thinner than 1/2 an inch, you’ll need to upgrade it. The Tile Council of North America recommends a subfloor at least 19/32 of an inch thick. As long as your subfloor isn’t damaged, you should be able to install carpet. Your installer can just roll out a layer of padding., then secure your carpet with tack strips attached to your subfloor. If your substrate is damaged, you’ll need to repair or replace it first. Any reputable flooring contractor can take care of this job for you. Hardwood has been a flooring option for thousands of years. It works well over any type of wood subfloor more than 1/2 an inch thick. If squeaky floors are an issue, some construction adhesive will keep everything nice and quiet. Laminate floors can be installed over any wooden subfloor as long as it’s in good repair. 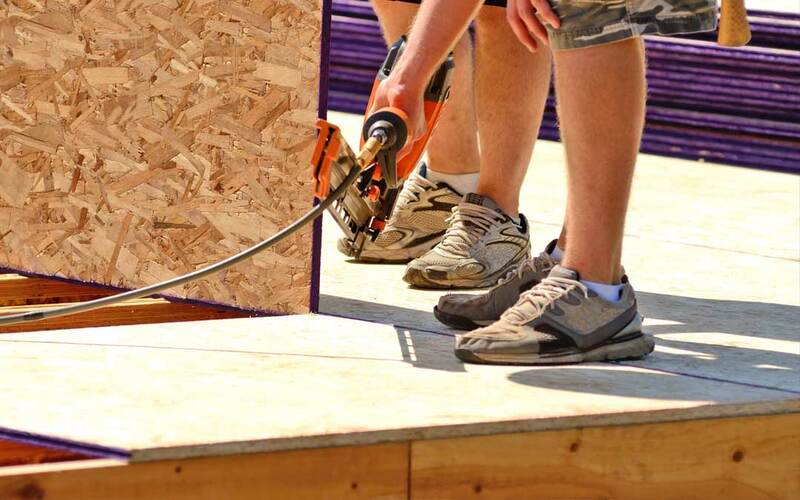 If the subfloor is uneven, you can add a layer of thin plywood over the subfloor. The laminate is laid down over a thin underpayment layer. The boards typically lock together. Because they aren’t attached to the subfloor, they depend on the friction between the boards, underpayment and subfloor to stay in place. Laminate floors are made partially of wood and natural materials, but they are more durable and water resistant than actual hardwood floors. Much like stone floors, tile floors can be prone to cracking if laid over an uneven subfloor. The tiles themselves are quite strong, but the grout between the tiles is the weak link. If your subfloor isn’t strong and even, your contractor may add extra support to your floor joists in the form of “sister” boards that add the extra support your tile floor needs. When it’s installed correctly, your tile floor give you many years of beautiful, trouble-free service. There are many types of subfloor materials, but wood is one of the most common materials. No matter what type of subfloor you have, there are flooring options to fit every style and budget. Are you ready for a new floor in your home? We’re ready to help you. Contact us today and you’ll be walking on your new floor before you know it.